Some second-year students at Murray Edwards have refused to meet with Dame Barbara Stocking in customary mid-degree meetings with the college president, arguing the college has failed to deal with student concerns over the Dame’s role in the 2011 Oxfam Haiti scandal. 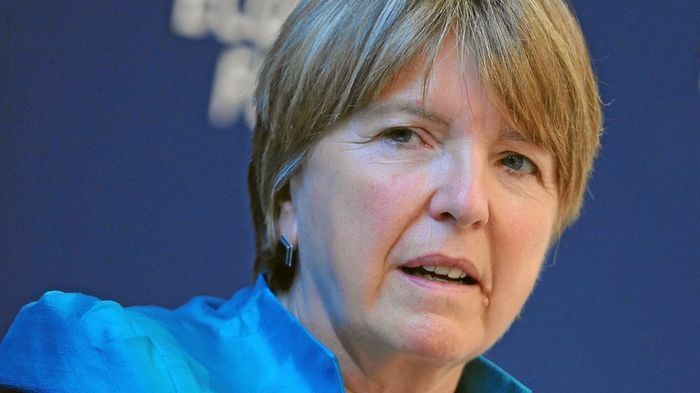 Last year, The Times revealed that Dame Stocking played a role in covering up aid workers’ sexual misconduct during her time as CEO at Oxfam, when senior aid workers in Chad and Haiti were discovered to have hired prostitutes whilst providing humanitarian assistance. This week, a number of students have drafted an open letter declining an invitation to meet with Stocking individually, unhappy with the way last year’s events have been handled by both the president and the college. The letter alleges that over the past year she has made “a number of racially insensitive remarks” that have “left many students feeling unsafe and uncomfortable around college", citing a survey on race and welfare conducted by the JCR. According to the letter, Barbara’s apology to students was deemed “insufficient” and the college’s response to these concerns were inadequate, prioritising the “smooth, as-normal running of the college over the comfort and happiness of BAME students”. It stated that instead of seriously engaging with students, “the college implied they had grounds to take legal action against members of the JCR, deterring any further criticism of the conduct of the college and of Dame Barbara by students"’. Students also felt dissatisfied with the extension of Stocking’s contract by the college in Easter term, saying it occurred with a “lack of transparency”. In response to the open letter, Dr Ruchi Sinnatamby, Vice-President of Murray Edwards College, told Varsity through a statement that the meetings between the President and second years were “not compulsory”, and are offered with the intention of providing “an opportunity for students to discuss their experience of College and their time in Cambridge’’. It also pointed out the various steps taken by the college focusing on “championing race equality”, including “a new lecture series focusing on intersectionality” and a “student-led Race and Ethnicity Working group”. An open meeting was also scheduled for the Senior Tutor and Vice-President to “discuss [students’] concerns” to further dialogue in college. Information has been collected in a document by the Murray Edwards Student Collective, a group aiming to make student activism and politics more accessible, on the way Stocking and the college have allegedly dealt with the events that unfolded last year. One such example on the document is an interview with the BBC last year, where Stocking said that Oxfam often worked in very difficult locations "where the rule of law isn't going on". Comments on this statement by students deem it “racially charged language to excuse the abuses of power that took place in Haiti”. It goes on to say that “describing the country she worked in as ‘lawless’ plays into racist stereotypes of the non-western world as uncivilized, which was done here as a means to minimize the responsibility Oxfam should take for the actions of their employees”. On the document there are also reports that in an open meeting with the College on 13th February last year, Stocking spoke about sexual exploitation in a “dismissive manner”, ‘presenting it as an inevitability in a “disaster zone” and comparing it to crimes such as fraud’. In a statement to Varsity, one of the members of the collective said that they were aware of the efforts mentioned by the college in their statement before drafting the letter, but emphasised that the impact of the efforts on the lives of students “has been negligible” resulting in “little substantial change” so far, even though they were “welcome efforts” . In February 2018 shortly after the Oxfam scandal was reported, the Murray Edwards JCR committee endorsed a statement condemning the college president for her handling of the scandal. Stocking subsequently apologised to students, despite the fact that college authorities had chosen to initially defend Stocking when the Times story broke. In a report produced by a parliamentary inquiry by the House of Commons in 2018, MPs described Stocking’s defence of her actions as CEO as “tenuous”.